Moving around the galactic circles that I do (even though I’m not a heavenly body or will ever be accused of having a heavenly body), I’m up in Manchester meeting meeting Apollo, Skylab and Shuttle astronauts at CosmicCon. My chance to attend a series of talks and mingle among the stars who have been in space, repair in space and collect space. I’ve even managed to get a few extracts from some of the talks I attended on the quieter of the two days. 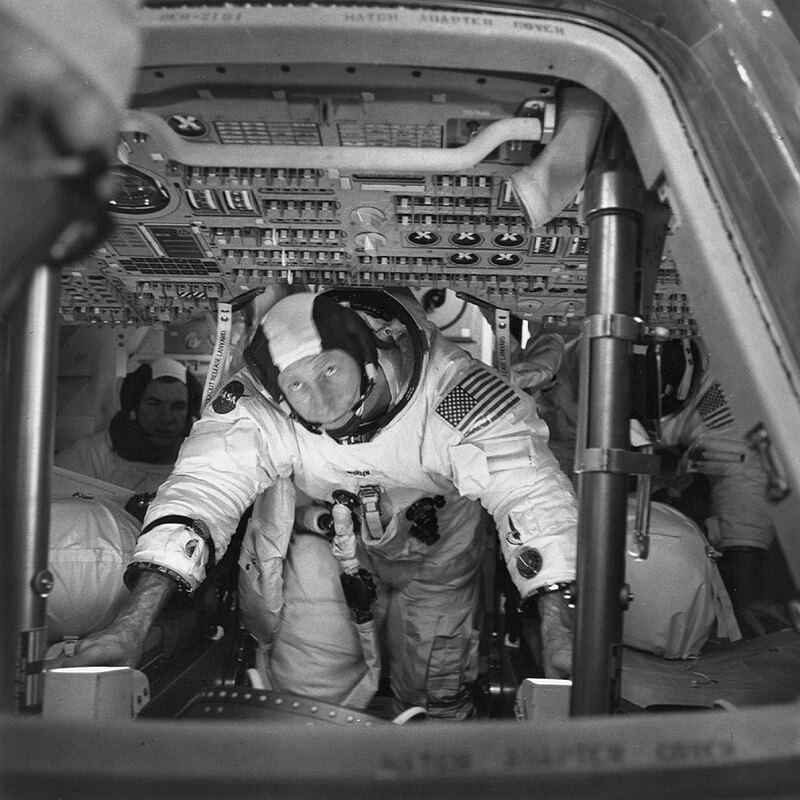 Al Worden Command Module Pilot, Apollo 15. Al Worden was the Command Module Pilot for Apollo 15, the fourth lunar landing, where he orbited the moon in the Command Module Endeavour and became “the most isolated human being” while his fellow astronauts explored Hadley Rille, 2235 miles away on the lunar surface. He also performed the first deep space spacewalk to recover exposed film from the Service Module’s scientific instrument bay. Al Worden is 83 years old, he’s chipper, bright and loud, the audience love him and he loves talking, retirement is state of mind for the chap, he’s full of life. This guy is a great character and full of humour. 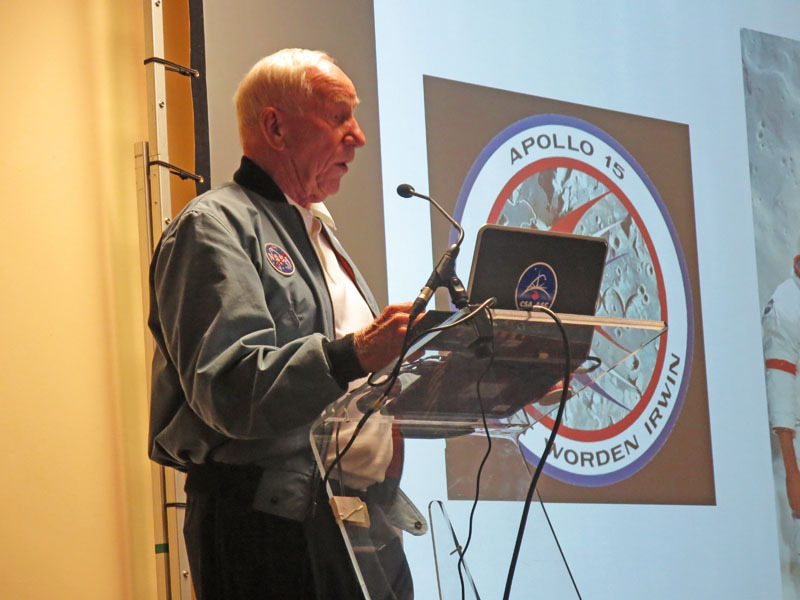 Al Worden talking about the design of the Apollo 15 crew patch at CosmicCon 2015 at Manchester, UK. I spent 3 wonderful days in orbit by myself, after 4 days with those guys (Scott & Irwin), I was so damn glad to get rid of them. 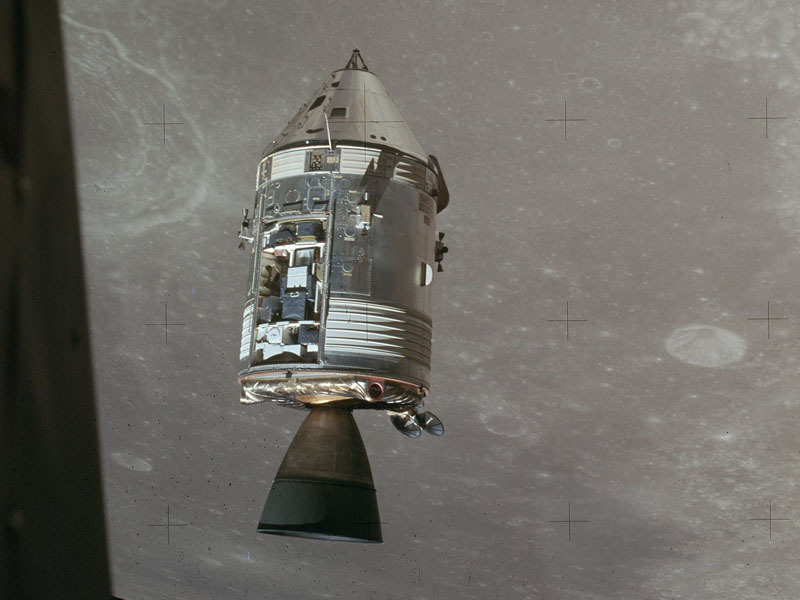 While I was there I operated the SIM bay, Scientific Instrument Module, couple of big cameras in it, remote sensors, a little subsatellite we left in lunar orbit before we came back. I had to recover the film canisters and bring them back inside the Command Module. On launch day, you get up to the 35th level and get inside the spacecraft, the left side is all for flying and the right side for systems, in the middle is the sextant you use to navigate while in flight. You have 733 switches and circuit breakers, people wonder why it takes so long to train for a flight, it’s because of all those switches and circuit breakers. I used to start memorising form the left and by the time I had got to the right, I’d forgotten everything on the left hand side. In the 3 years of getting ready for my flight, I got 1500 hours of simulator time. When an Apollo launches, it lifts off very slowly, we didn’t even know, launch control centre had to tell us, took us 12 seconds to get past the launch umbilical tower. We burned up 5 million lbs of fuel in the first 2 1/2 minutes but you don’t get any perspective on fast you are going. Soon as we got going, we undocked, I backed of about 50 feet, turned around and grabbed the lunar module and head to the moon. We’re reliant on gravity to do several things for us. To go to the moon, you have to increase your speed and somewhere along that line, the moon’s gravity becomes greater than the earth’s gravity, grabs the spacecraft and pulls it around the back side of the moon. You have to leave the moon by 3 days, when you launch, you don’t shoot straight at it, you have to shoot ahead of it and during the 3 days we’re on our way up there, the moon travels far enough to meet us up there. 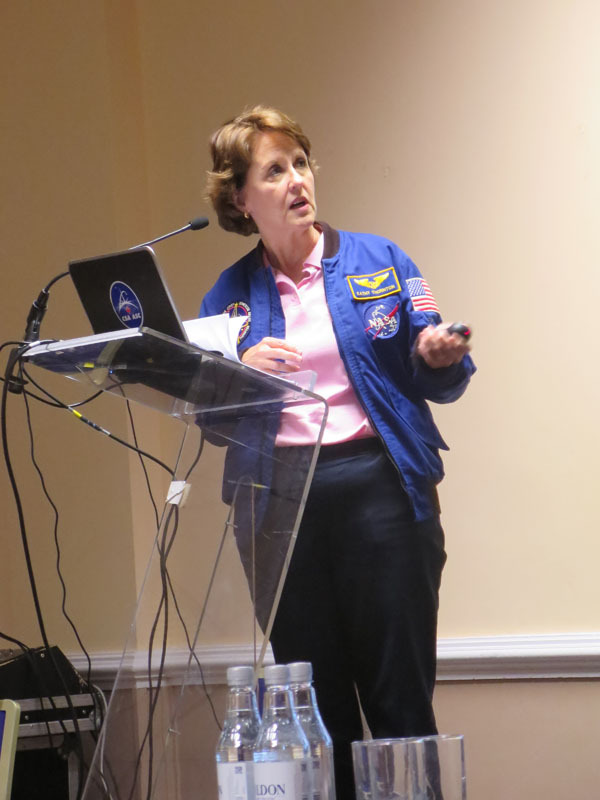 Dr Kathy Thornton was a Space Shuttle astronaut of 4 missions. The first a Department of Defense mission that’s classified, the second was to capture and repair an Intelsat that was stranded in low earth orbit and also where Kathy took part in the fourth EVA for space station assembly demonstrations, or lessons on how not to build the space station. Kahy Thornton at CosmicCon 2015, Manchester, UK. 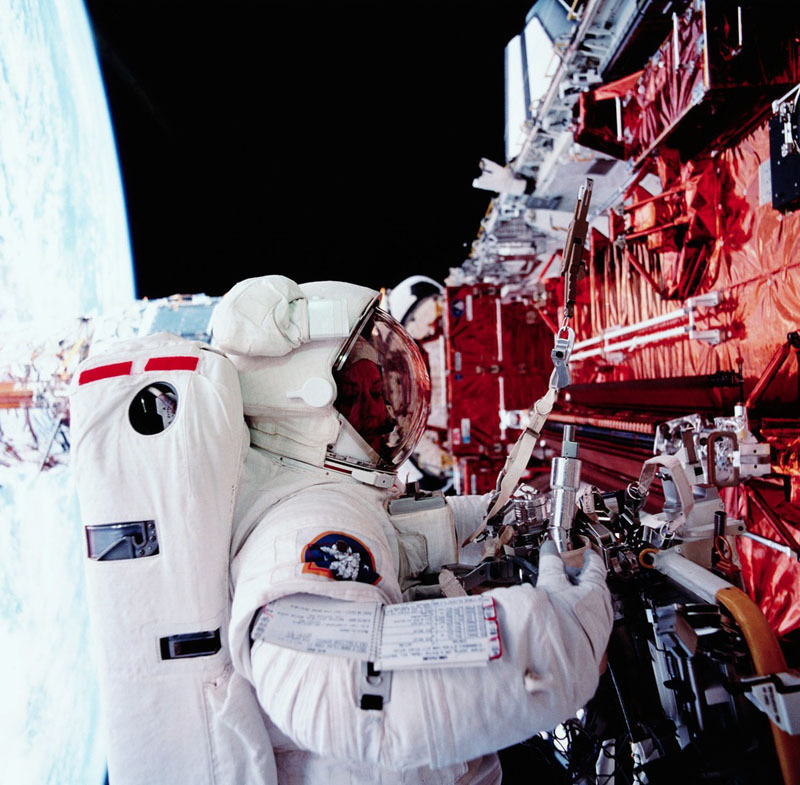 In her third mission, the famous STS-61 mission, she completed spacewalks to repair the Hubble Space Telescope replacing the solar arrays and the COSTAR corrective optics so the Hubble Telescope could focus properly. This is one of the most complex missions in Space Shuttle history, personally, I can’t think of a cooler job. Remember when the Hubble was launched and it couldn’t see any better than ground based telescopes because of a primary mirror problem? This mission corrected that to give us stunning views of the universe. 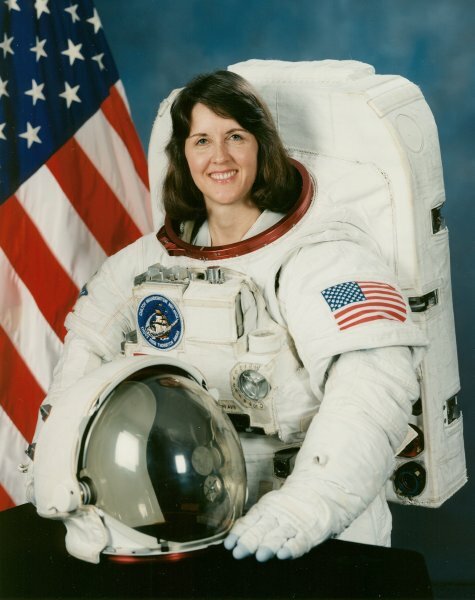 Dr Kathryn C Thornton, STS-33, STS-49, STS-61, STS-73. 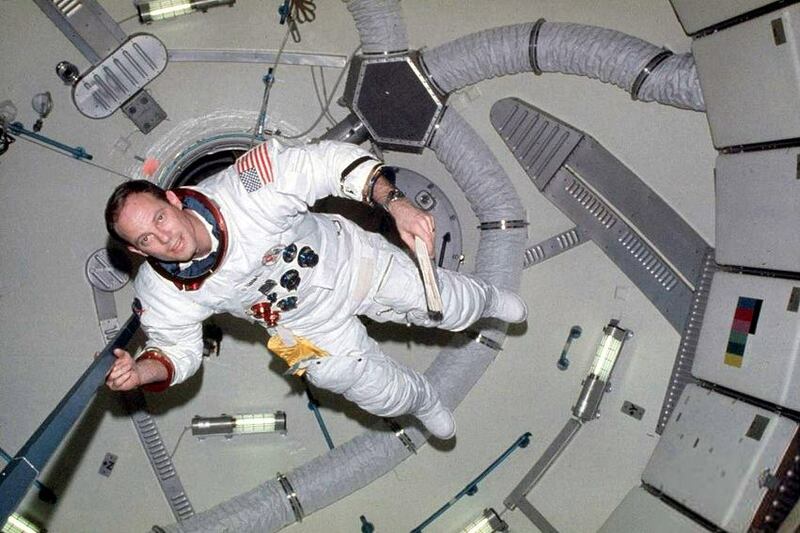 Jack Lousma was part of the Skylab 3 space station crew in 1973, along with Alan Bean, completing spacewalks to construct a second solar shade over the Skylab space station and completed other experiments to understand living and working in space. Later, he was the commander of the Space Shuttle Columbia on STS-3 during the third test flight where he and astronaut Gordon Fullerton spent 8 days in space testing the shuttle arm (Canadaarm – Remote Manipulator System) and completed thermal stress tests by pointing parts of the Space Shuttle Columbia at the sun. Donald A Thomas was a mission specialist and veteran of four space shuttle flights and has logged over 100 hours in space. Don later became Director of Operations for NASA at the Gagarin Cosmonaut Training Centre at Star City in Moscow. What a lovely guy Don was and a great speaker. 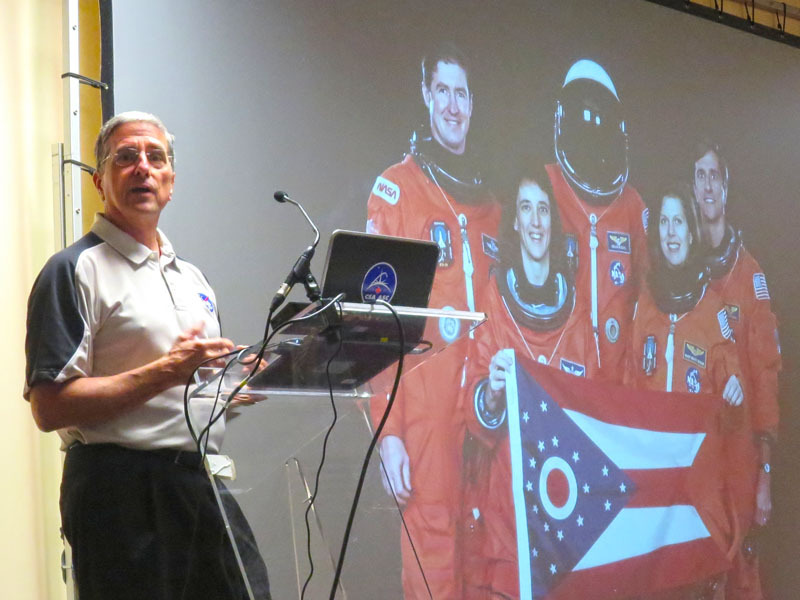 Don’s talk focused on Space Shuttle mission STS-70 which was to deploy a tracking and data relay satellite using a “very complicated button” and how a woodpecker tapped 205 holes in the external tank delaying the mission. Don Thomas, one woodpecker and 205 holes. Astronauts are not the only ones attending CosmicCon, it’s also got the Meteorite Men who like….err meteorites and the Asteroid Defence Project Team who err….don’t like those bigger types of meteorites. Even if Cristina Stanilescu and the rest of her team in the Earth Asteroid Defense Project prevent another disastrous Armageddon movie, I’d say that was enough, otherwise “I’m a gettin’ outta” here (say it quickly….see what I did there?). Besides all of that, there is the reminder that you are 14 times more likely to die by an asteroid than a terrorist and that NASA know just over 12,000 Near Earth Objects but there are likely to be many more. 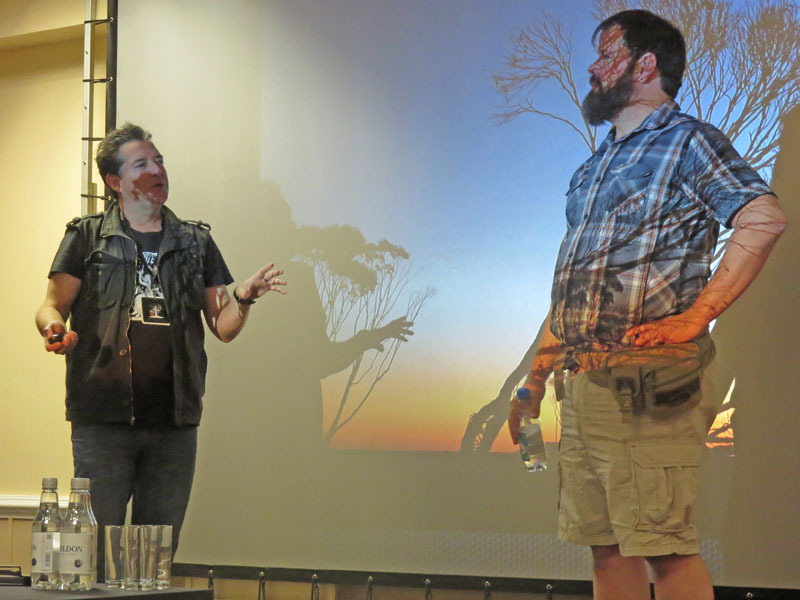 Seriously though, the Meteorite Men, Geoff Notkin and Steve Arnold, were a great double act, real personalities on stage and great stories and insights to their TV series, getting a world première preview of their new show, Meteorite Men Unlimited. Geoff Notkin and Steve Arnold are The Meteorite Men. The European Space Agency (ESA) have also turned up, the team responsible for sending Rosetta to orbit around comet 67p/Churyumove-Gerasimenko and the Philae Lander on the surface which must surely be the coolest thing off the planet to happen in science. I’ve got enough posters off them to redecorate my shed/observatory/mancave. 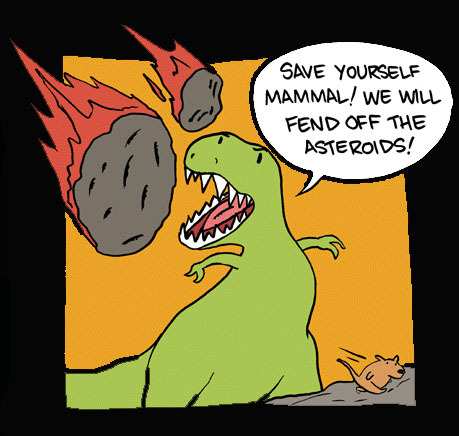 Early attempts at asteroid defence did not go well. We’ve had some interesting talks, wrapped up with a great Astronaut Q & A panel and I now know more about pooping in space than ever before. Whether its lining yourself up with a tube, being caught on toilet cam, using the “rear view mirror” Jack Lousma talked about, or simply placing a sticky bag to your bum, we all know that everybody poops. It was quite a discussion. I was lucky enough to ask a question about how the experience of Spacewalking compares to the training and simulations. 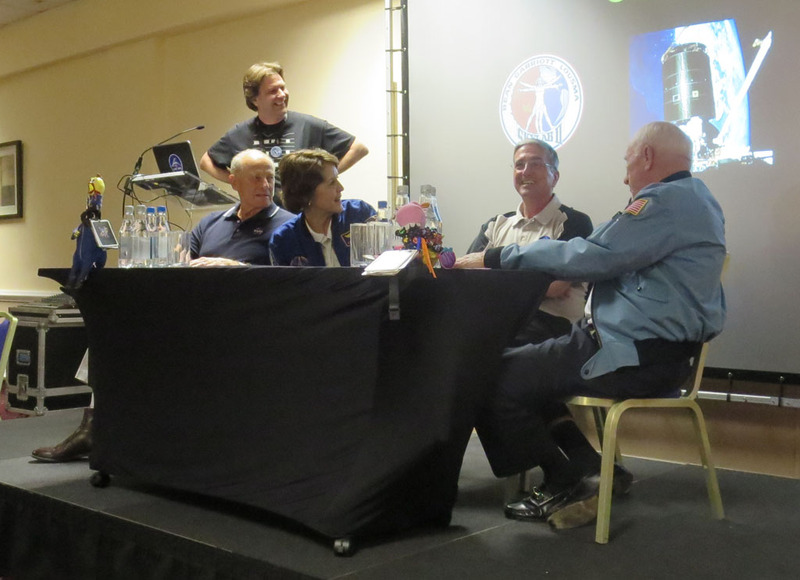 Three of the four astronauts here have completed a spacewalk, which Kathy Thornton and Jack Lousma gave detailed answers for and I swear Al Worden looked straight into my soul when answering me. Thanks to these guys on the CosmicCon astronaut Q and A panel, I now know more about pooping in space than ever before. I’ve had a great day and the events have been solidly organised by the fantastic team at CosmicCon. This post can not do the event justice, but you can by attending next year.